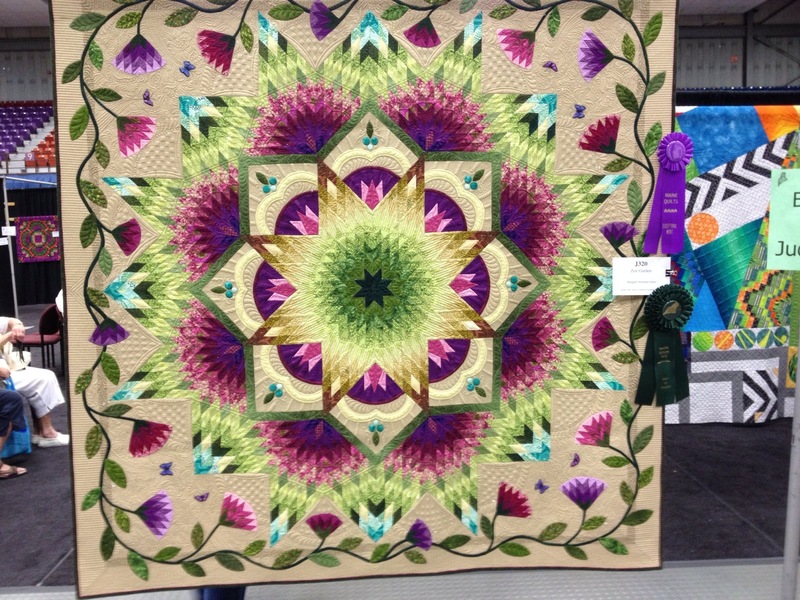 This is the Best in Show at the Maine State Quilt show. It is called Zen Garden. 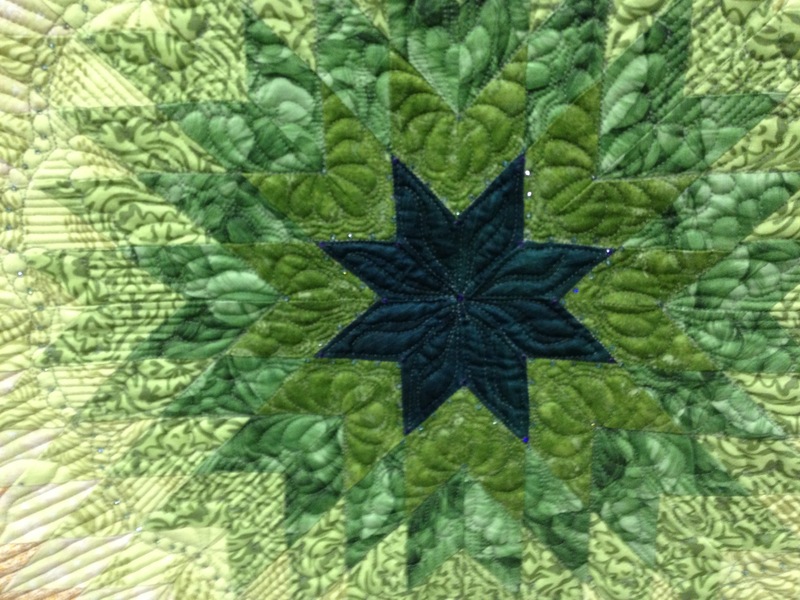 It was made by Maragaret Solomon Gunn of Gorham, Maine. 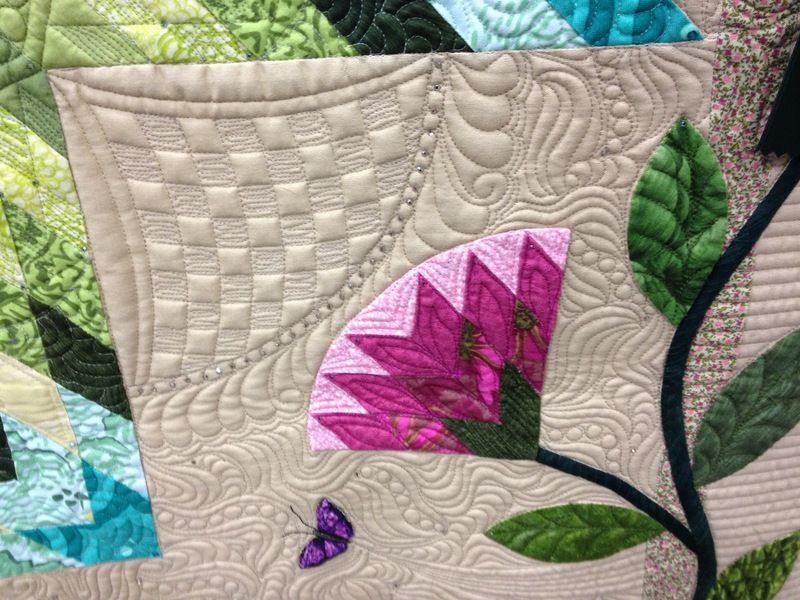 It is machine pieced, hand appliqued and machine long arm quilted. It is even more beautiful in person. This is the right bottom corner. I am not working anything quite so ambitious. I however was inspired to pull out on ongoing (by ongoing I mean never ending) project. I really want to complete this wall hanging. 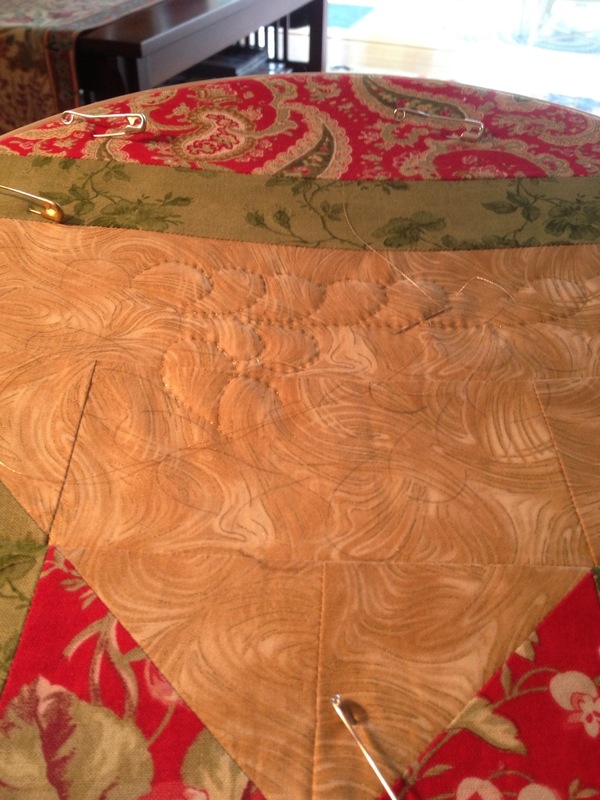 I am hand quilting some feathered wreaths in the corners and on the edges. I have one more corner to complete. Which is shown here. I will post a picture when it is complete. Enjoy your Sunday, be creative.